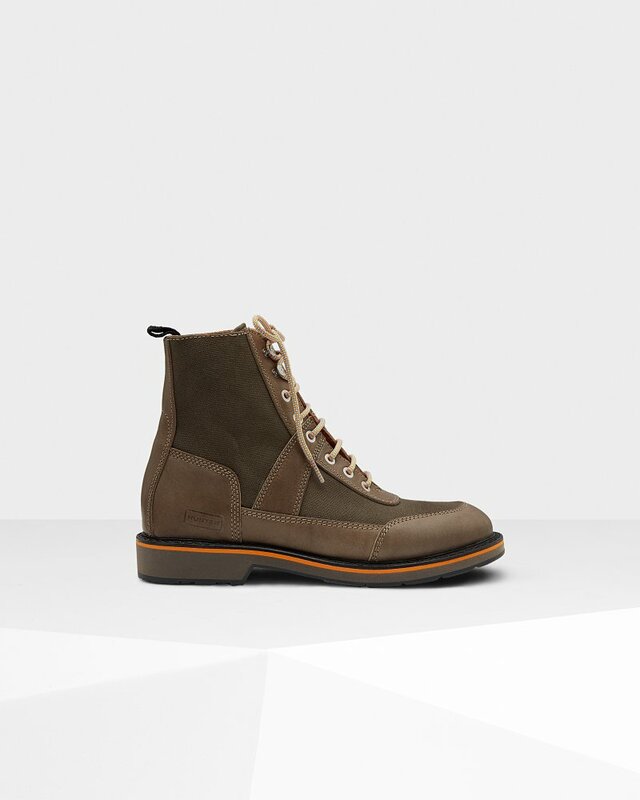 Men's Original Commando Boots is rated 2.8 out of 5 by 5. The classic Original Commando Boot is given an elegant overhaul this season. Crafted from canvas, leather and suede, this lace-up boot has a lightweight, treaded outsole with contrasting stitch detail and a cushioned foot bed. A pull tab at the heel allows for ease of foot entry. Rated 2 out of 5 by George from Not comfortable Not a great fit, far to large in length for a size 9 and really tight. The boot was well made but comfort would be an issue unless you have really slim feet. Rated 5 out of 5 by khalilh from Great quality and looks great! The quality is great, colour choice was also really good. Overall a very nice pair of boots. Rated 5 out of 5 by Becky67 from Bought these as a gift for my very pick boyfriend! He LOVES them. His feet are standard size/width and he wears them all the time with no issues - fit like a glove! Rated 1 out of 5 by jaytea73 from Very Narrow Fit Was looking forwards to these, but when they arrived and I tried them on it was obvious they were far too narrow. If your feet are on the wide side, don't plan on these.